OHIO -- This is a list of animal cruelty suspects who police are attempting to locate. Arrest warrants are currently on file at the Clark County Sheriff’s Office. 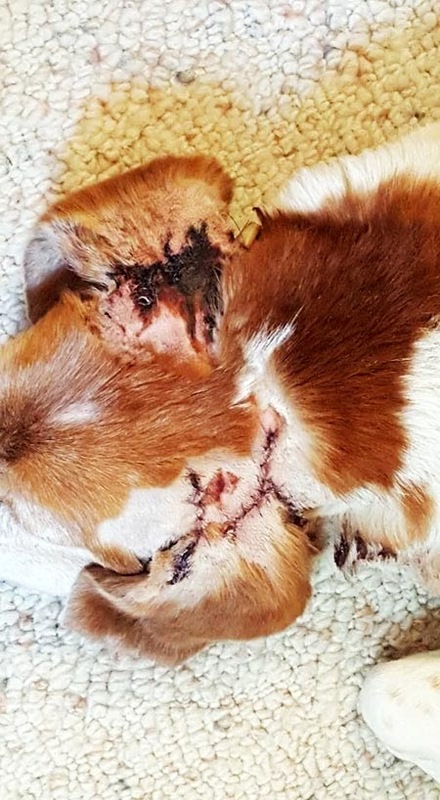 2 pit bulls attacked Allister, this morning. Does anyone know who I could call to have them look into it? If it would have been our chihuahua, or any of the other little lap dogs around here they would have killed them! With so much sadness I Lost my best friend today.... He got attacked by a pit bull! I'm so lost right now! Going ta be off grid till I get over his loss.. Loved him so!! MONTANA -- Randy Scott Laedeke, 60, the former Billings attorney who was disbarred amid allegations that he embezzled thousands of dollars from his client’s estate, was charged Thursday with felony animal abuse. Laedeke, 60, was charged with at least two counts of cruelty to animals, one of them a felony, and one count of livestock unlawfully running at large, a misdemeanor. Justice of the Peace Pedro R. Hernandez allowed Laedeke to remain out of jail during Thursday's initial appearance in Yellowstone County Justice Court. An investigation into this case began in August 2015, when two loose horses were spotted south of the interstate near Billings. 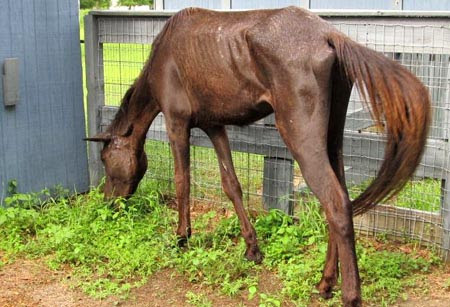 A county animal control officer noted that one horse appeared malnourished and both had scabs and scars, charges state. The officer determined that the horses belonged to Laedeke, who at first would not admit that he owned the horses. After Laedeke quit lying, officers inspected his property. 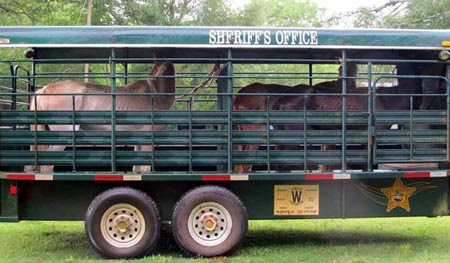 They found multiple horses in "poor condition". 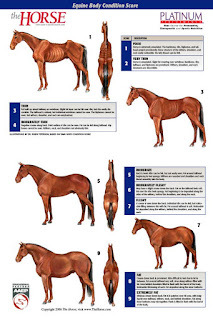 The officer rated many of Laedeke's horses as a "one" on the Henneke Body Scoring System, a standardized numerical scale used to evaluate a horse's body mass. 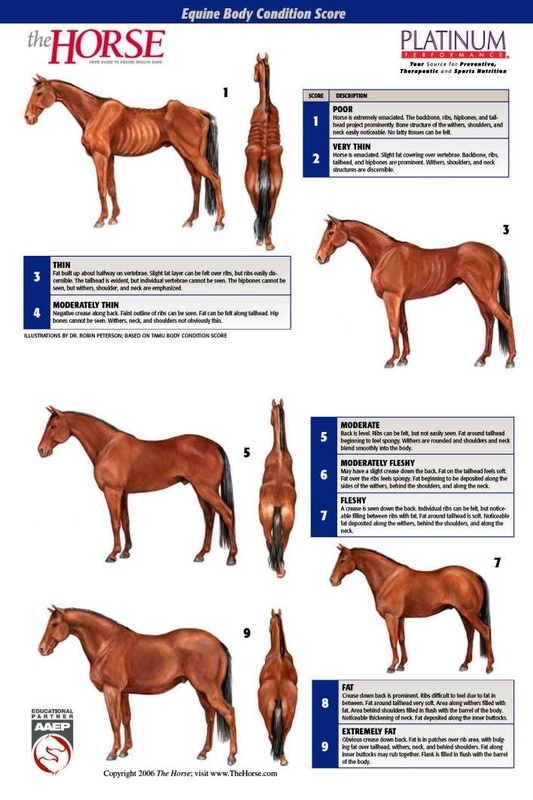 "One" is the lowest score a horse can have and not be dead. According to court documents, a pony was found on the property with untrimmed, overgrown hooves that made it difficult and painful for the animal to walk. 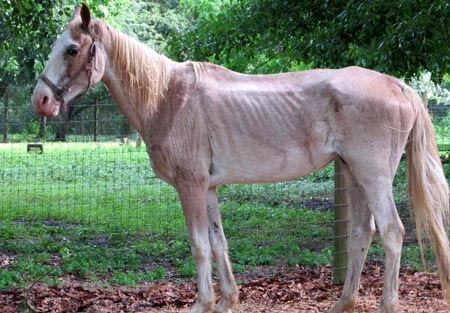 One of the stud horses was found with a serious infection that led him to waste away. At least three horse skeletons were found on Laedeke’s property, according to court documents. 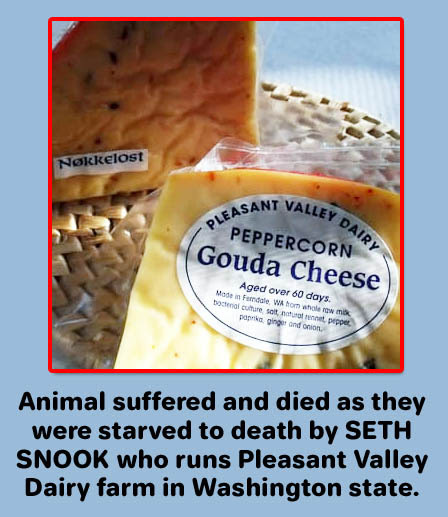 Investigators did not observe any feed or grass for the animals to eat. When questioned about the condition of the horses, Laedeke acknowledged that the horses were a little thin but denied that they were in poor shape. Laedeke made various excuses, according to the report, as to why the horses were not cared for. Laedeke told the officers that he would get the pony’s hooves trimmed and make sure the other horses were tended to, but nothing had changed two months later. 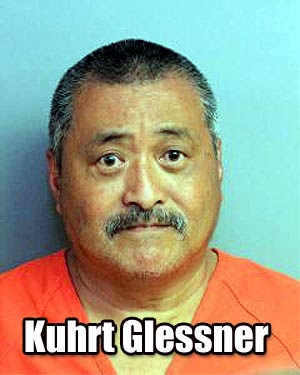 Apparently they never bothered to file criminal charges against him even. Instead, they told him to either kill the horses, sell them or get them back to decent health. Over the following months, officers returned to inspect the animals. 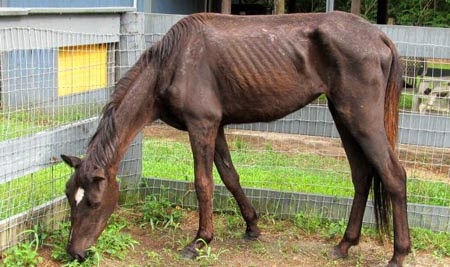 In August 2015, the officer noted that of about 32 horses on the property, just eight appeared to be in "decent body condition," charges state. 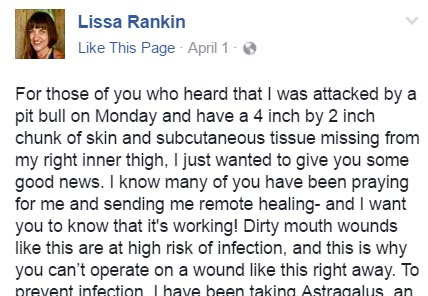 A Montana Equine Medical/Surgical Center doctor reached similar conclusions in October 2015, according to court documents. Inspections in March 2016 found another neglected horse, according to court documents. Nothing was done. Is this sounding familiar? Officers responded to Laedeke’s property as recently as March 2017 for a complaint of a sick horse on his property. 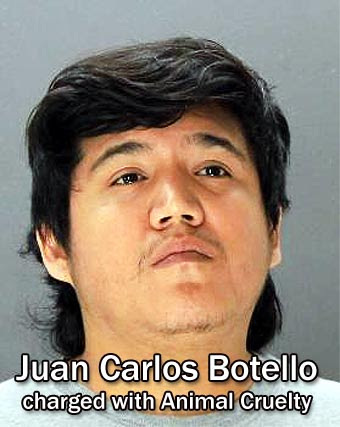 The horse’s ribs, hips, and other bones were showing through, according to court documents. 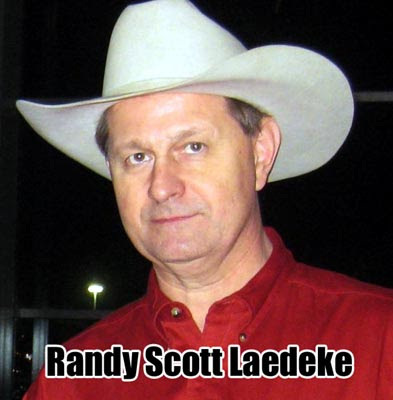 WAS LAEDEKE ABLE TO AVOID PROSECUTION BECAUSE HE WAS AN ATTORNEY? A former attorney, Laedeke was disbarred in 2015 for mishandling a client's settlement in the wake of a vehicle crash death. The Montana Supreme Court ordered him to pay $65,547 in restitution. Then in 2016, he faced federal charges for wire fraud for alleged embezzlement in that same case. Prosecutors said that Laedeke took outsized fees from a settlement while representing the estate of a person who died in a car crash. That case was dismissed in September 2016. In Montana, disbarred attorneys cannot reapply for admittance for at least five years. In the animal case, Laedeke is scheduled to appear in Yellowstone County District Court on April 27. FLORIDA -- Two Century men have been sentenced in connection with a 2015 animal cruelty case. Despite being charged with felony animal cruelty, John Jackson Grimes was given 12 months probation and told to do 50 hours of community service. His partner in crime, Monroe Kemp Moore, Jr., got the same sentence. 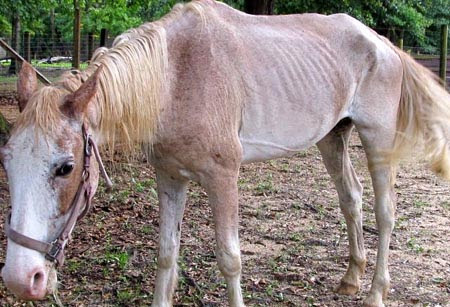 No jail time, not even one single day, given to these scumbags who knowingly starved these horses until they were walking skeletons. 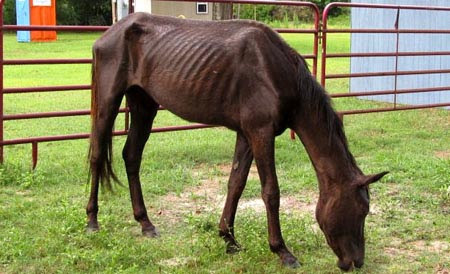 Escambia County Animal Control, Panhandle Equine Rescue and the Escambia County Sheriff’s Office seized three severely malnourished horses from a property in the 2500 block of Highway 168, near Shaw Road, near Century on May 27, 2015. 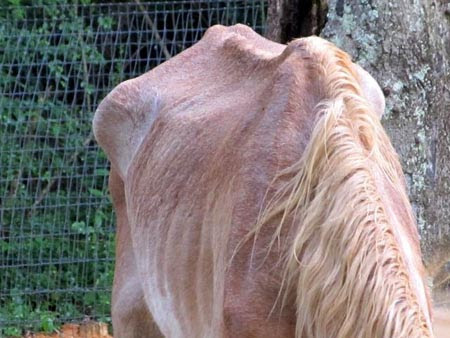 According to court documents in the case, two of the horses had bones that were projecting and visible due to malnourishment. 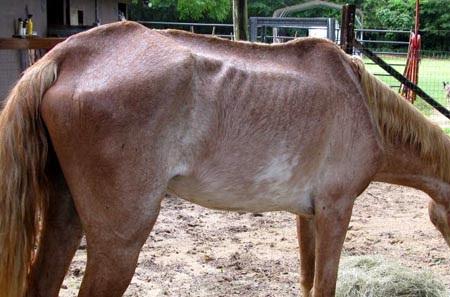 The horses were unable to graze due to a lack of grass in their quarter of an acre enclosure. It appeared that the horses had no water and no one caring for them for some time. The horses were rehabilitated by Panhandle Equine Rescue. 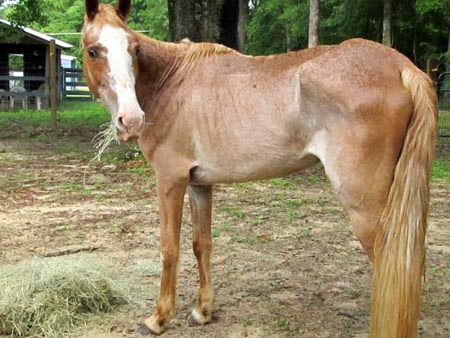 The only horse rescue in Escambia County, PER was founded by a small group of concerned citizens with a mission to rescue, rehabilitate and provide adoption services for abused, neglected and abandoned equines. 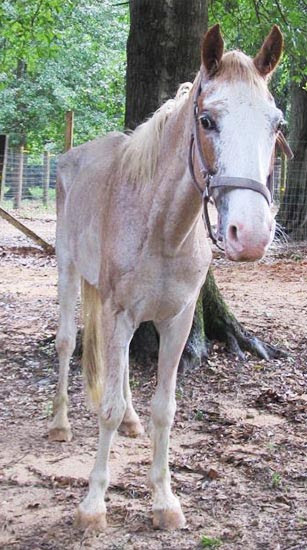 PER is authorized by the court system to investigate equine cruelty in Escambia County. 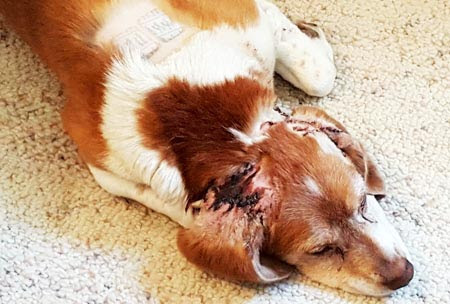 Ohio: Loose pit bull attacks dog that's restrained on its own property. 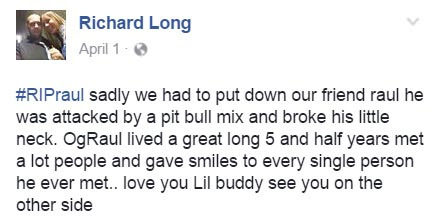 Pit bull owner complains that the victim dog was biting his dog, too. 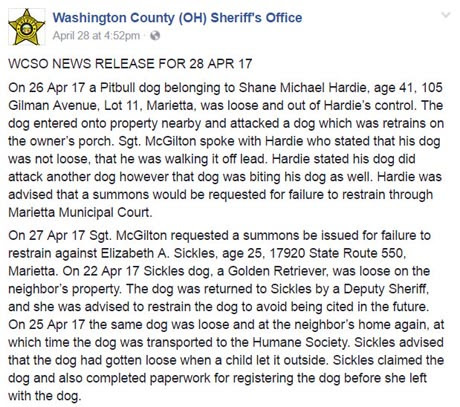 On April 26, 2017 a Pit bull dog belonging to Shane Michael Hardie, age 41, 105 Gilman Avenue, Lot 11, Marietta, was loose and out of Hardie’s control. The Pit Bull entered onto property nearby and attacked a dog which was restrained on the owner’s porch. Sgt. McGilton spoke with Hardie who stated that his dog was not loose, that he was walking it off-lead. Um, walking a dog "off-lead" means your dog is LOOSE which is against the law. Hardie stated his dog did attack another dog however that dog was biting his dog as well. Yeah, the other dog was biting your pit bull because it was trapped by its chain/tether and couldn't get away. Your dog was the aggressor and should have been shot. Hardie was advised that a summons would be requested for failure to restrain through Marietta Municipal Court. On April 27, 2017 Sgt. McGilton requested a summons be issued for failure to restrain against Elizabeth A. Sickles, age 25, 17920 State Route 550, Marietta. On April 22, 2017 Sickles' dog, a Golden Retriever, was loose on the neighbor’s property. The dog was returned to Sickles by a Deputy Sheriff, and she was advised to restrain the dog to avoid being cited in the future. Three days later, on April 25, 2017, the same dog was loose and at the neighbor’s home again, at which time the dog was transported to the Humane Society. Sickles said that this time, it was a kid's fault - that the dog had gotten loose when a child let it outside. Sickles reclaimed the dog from the shelter and also completed paperwork for registering the dog. PENNSYLVANIA -- A Sharon patrolman is on medical leave after being badly injured by a dog early Friday morning while responding to a domestic call, police said. 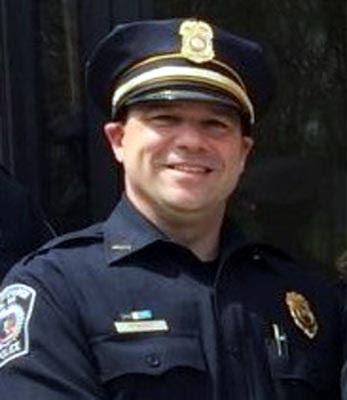 Lt. Jeffrey A. Wiscott was treated at a local hospital for several puncture wounds, torn tissue and a large laceration on his right forearm, police said. Police said Wiscott and patrolman Ryan Chmura responded at 2:47 a.m. to 287 Cedar Ave., where the caller said he was arguing with his brother who was drunk. When they arrived, a woman – Stephanie D. McDonald, 54 – opened the door and police said they saw a brown pit bull behind her. They said they ordered her to lock up the dog, and a man at the home – Richard W. McDonald Jr., 35 – took the dog upstairs. Police said they went inside and settled the dispute, asking another man – Michael L. McDonald, 30 – to go upstairs. Shortly afterward as police were leaving, the pit bull came running downstairs and attacked Lt. Wiscott, police said. Before officers could react, the dog lunged and grabbed Wiscott's right arm, police said. Chmura drew his weapon and jumped back onto the couch but was unable to shoot the dog without hitting Wiscott, police said. One of the owners grabbed the dog by the collar and pulled it away from Wiscott, police said. The dog continued to lunge at the officers, even with Richard holding it back, police said. A supervising officer arrived and took Wiscott to the emergency room. He was released pending further medical treatment, police said. Shenango Valley Animal Shelter personnel removed the dog and quarantined it because it did not have a rabies vaccination, police said. 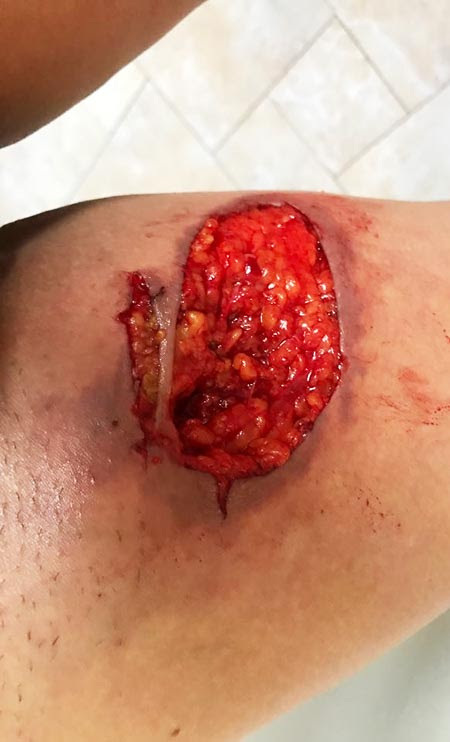 California: "I was attacked by a pit bull on Monday and have a 4 inch by 2 inch chunk of skin and subcutaneous tissue missing from my right inner thigh"
For those of you who heard that I was attacked by a pit bull on Monday and have a 4 inch by 2 inch chunk of skin and subcutaneous tissue missing from my right inner thigh. I just wanted to give you some good news. I know many of you have been praying for me and sending me remote healing- and I want you to know that it's working! 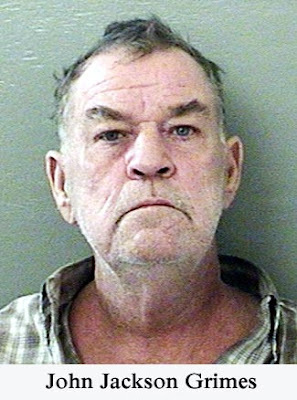 ALABAMA -- A man has been arrested on animal cruelty charges after killing or mutilating 32 chickens with a machete. 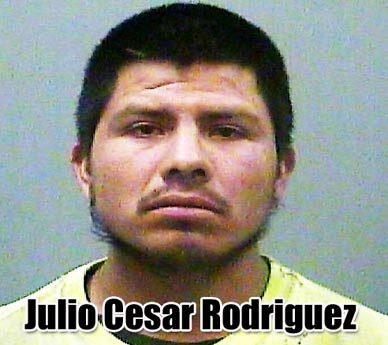 News outlets report that Limestone County Sheriff's deputies arrested 26-year-old Julio Cesar Rodriguez on Tuesday. 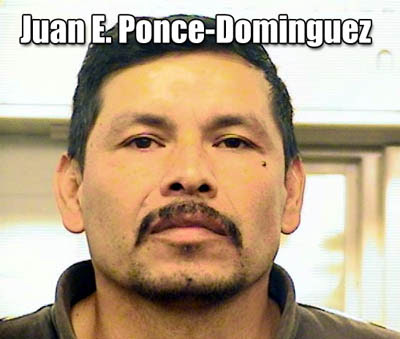 Limestone County Sheriff's Office spokesman Stephen Young says the incident stemmed from a domestic dispute when Rodriguez got angry after a woman told him to leave the residence. He later went outside and began hitting the chickens with a machete. Rodriguez has been charged with felony aggravated cruelty to animals and was being held in the Limestone County Jail on $2,500 bail. It's unclear if he has an attorney. 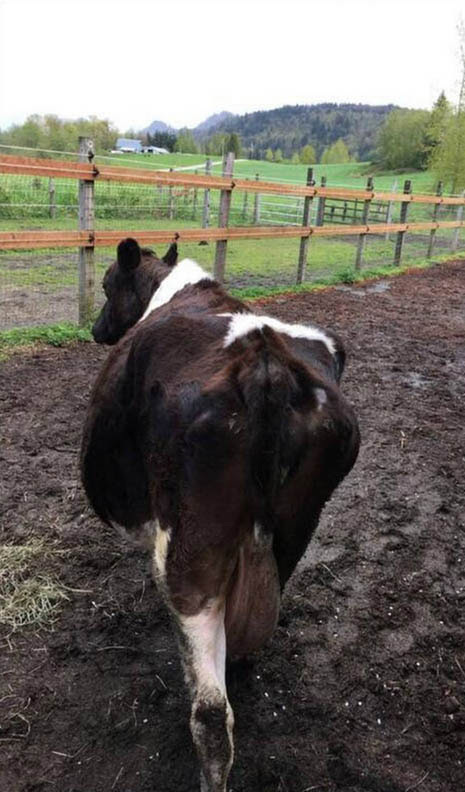 WASHINGTON -- A Whatcom County dairy farmer neglected more than 20 cattle and pigs for six months, so long that some needed to be euthanized, according to the Whatcom Humane Society. 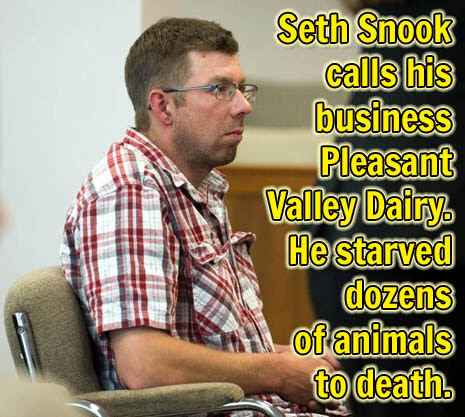 Seth Daniel Snook, 34, owner of Snook Brook Farms near Ferndale, faces five counts of first-degree animal cruelty, according to charges filed Friday in Whatcom County Superior Court. Humane society investigators earlier this month seized all of Snook’s living animals – 23 cows – said Executive Director Laura Clark. Five were euthanized because of their conditions. The others are being given emergency treatment. Snook, according to the charges, said he couldn’t afford to feed the animals. When reached by phone Friday evening, he declined to comment on the charges, saying he hadn’t yet seen them. “I honestly don’t think it would be in my best interest to comment on anything,” Snook said. 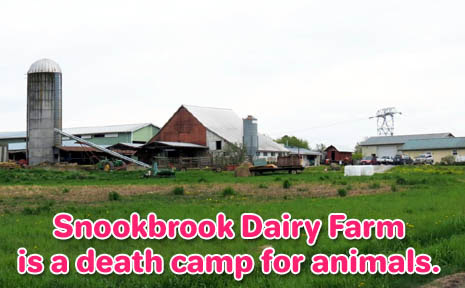 An animal control sergeant with the humane society began investigating Snook’s farm in late March after the U.S. Department of Agriculture expressed concern about the animals in a report, charges say. 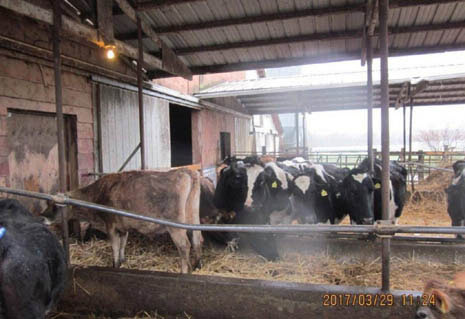 During a trip to the farm, the officer and a Department of Agriculture veterinarian found all of the animals were starving to death, and had been neglected for at least six months. 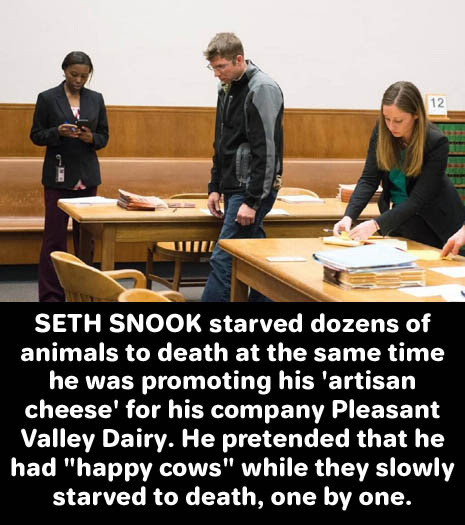 Snook, according to the charges, said he knew the cows were “a couple hundred pounds underweight,” and that he was responsible. 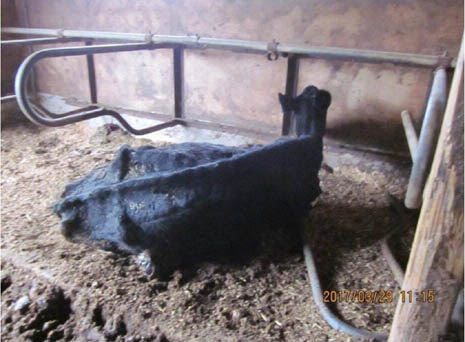 Investigators also found carcasses and skeletons of dead cows at the farm, charges say. 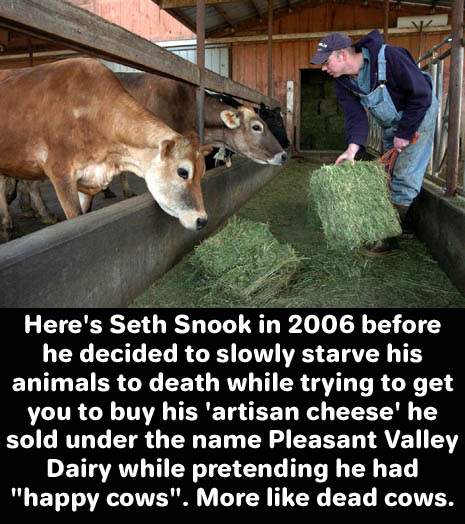 Snook had agreed to sell his cows and local dairy producers had offered to help feed and transport them, according to the charges, but he didn’t do so. 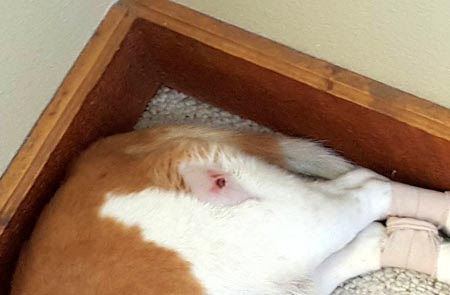 “The Whatcom Humane Society will continue to advocate for these animals and will do whatever we can to hold Mr. Snook responsible for his horrific crimes against these defenseless animals,” Clark said in an email. 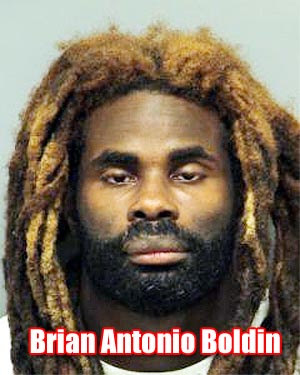 Snook was not arrested, but a summons has been filed for him to appear in court in May. 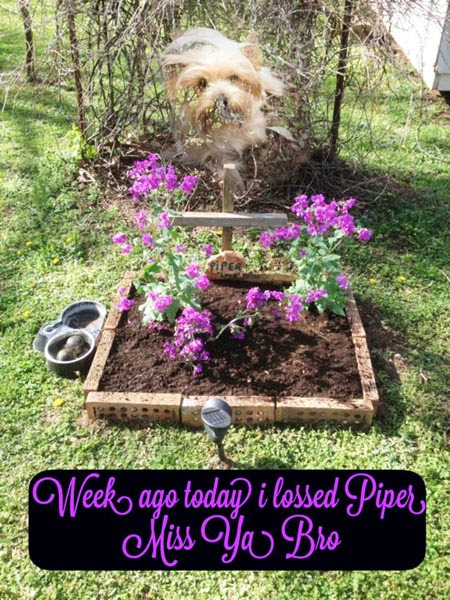 Jennie Conway - Heartbreaking.... Pits kill so many other pets. RIP little guy. 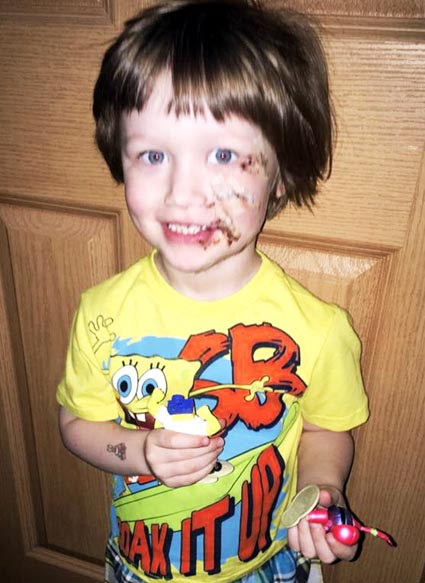 Lucinda Hollingsworth Boutin - We were attacked by a pit and we sued and won. I'm so sorry about your dog. Poor guy got attacked by a pit bull. He's being a real trouper. He has reconstructive surgery at 8am. Keep him in ur prayers or good vibes whatever u believe in. — at Mary Bridge Children's Hospital. In later comments, she says that adults were in and out of the house all day and the dog never bothered anyone. But when he zeroed in on the little boy he knocked her down to get to him and latched onto his face - as pit bull have a tendency to do. Clara Conlan - That's horrible. Thank goodness he didn't lose an eye. Ashley Renee Cardinal OMG!! This breaks my heart!! My son was attacked by a Pitt Bull a couple years ago and was taken to Mary Bridge by ambulance!! It was horrible!! He was even playing at our housing development's park!! Prayers coming your way for a speedy recovery!! Decade Detour - HOly balls! Hate pit bulls ..... prayers ! 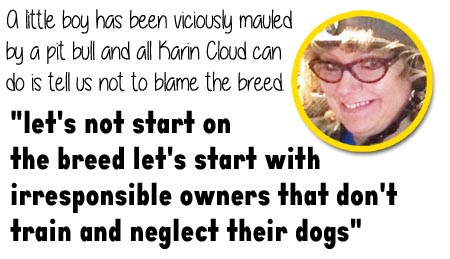 Karin Cloud - And let's not start on the breed let's start with irresponsible owners that don't train and neglect their dogs. Lizzy Moore - The plastic surgeon said he has more pit bites then any other dogs and so did the 3 doctors. So maybe ya think they might be a little more aggressive then other breeds. Duh! 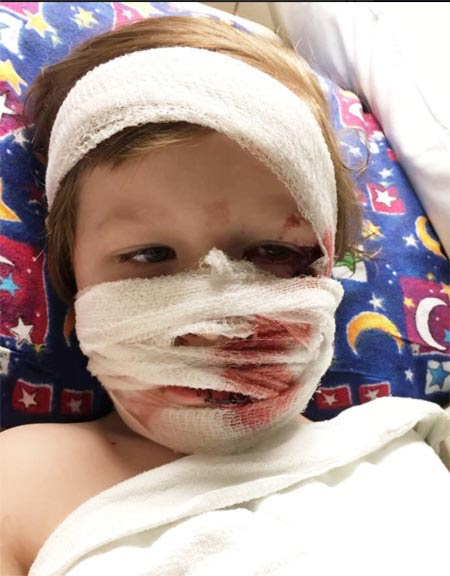 UNITED KINGDOM -- A dog has allegedly being mauled to death in a children's play area by two pit bulls. 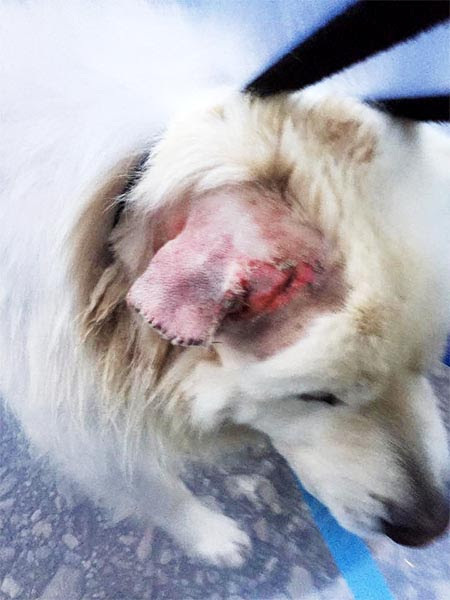 A witness to the aftermath of the incident has told how a woman was reportedly walking her two dogs in Tivoli Park, on Tivoli Road, in West Norwood, yesterday morning (Thursday) when she noticed two other dogs nearby. 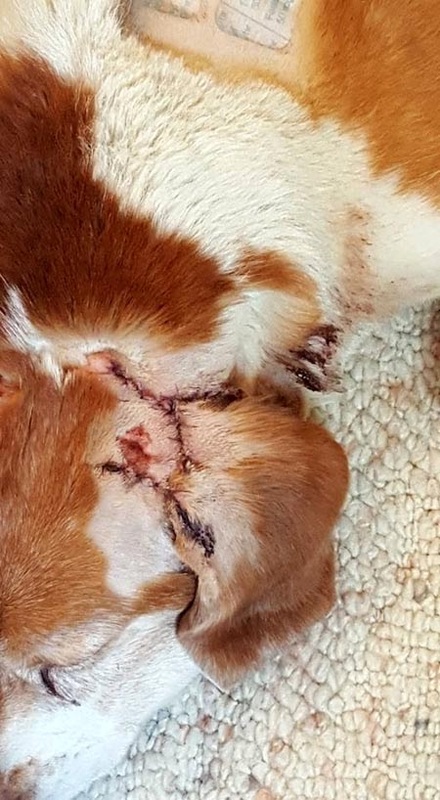 After the woman walked into the play area in the park the two other dogs are alleged to have jumped over a fence and attacked one of her dogs - which died from his injuries. Flowers have been left at the scene, which suggest that the victim's name was Percy, and a photo of the dead dog, which is too graphic to pubish, was posted on social media. Maggie Morrissey was sitting in her garden, on Tivoli Road, at around 10am yesterday when she and her two sons heard "screaming" and "barking". Ms Morrissey, along with her sons, went to see what the commotion was about. She said: "A lady was walking her two dogs in the park and she noticed these two dogs, which were pit bull type dogs. She went into the children's section of the park and apparently this dog hopped over the fence into the play area and attacked this dog. "We were sitting opposite the park in our garden and we could hear screaming, barking and growling so my two sons ran out. It was awful." Ms Morrissey went on to say that the owner of the dog that died ran out of the play area in a bid to save her other dog – which she managed to do. 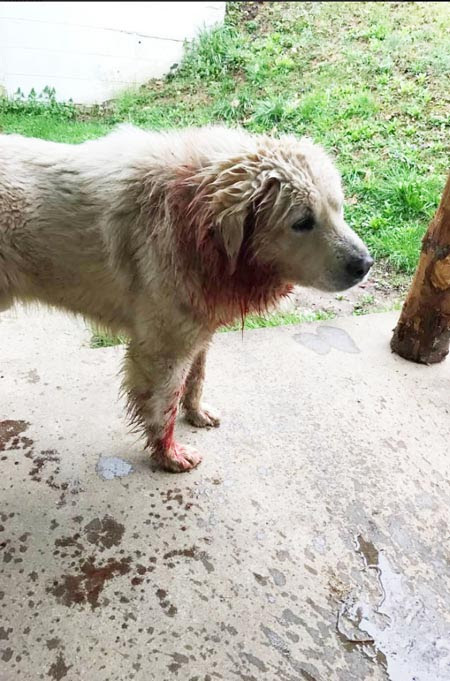 Passers-by are said to have thrown water over the two dogs in an attempt to get them off the motionless dog on the floor – but the damage was already done. The owner is reported to have eventually been found by someone who witnessed the incident and is said to have taken the dogs away. 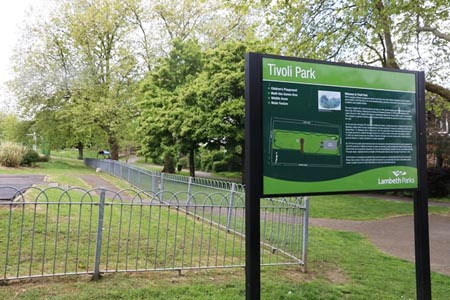 Ms Morrissey is a member of the Friends of Tivoli Park – a group of volunteers who work to improve and maintain the park which is just over the Croydon border, in Lambeth. "I am a member of the Friends of Tivoli Park and we want people to use it," she said. "We have put in a lot of time and effort to make sure the park is nice. We have a nice play area and have a new orchard. "People are frightened to go into the park now and they are saying 'I am not taking my dogs there'. People aren't even taking their children now. I am shocked. "The whole street was out and it was shocking to see. A dog mauling another dog – disgusting." Although the alleged attack took place in a children's play area, there were no children in the park at the time. Ms Morrissey said: "Dog attacks are an issue in the area. Not just in our park but in London as a whole. Yesterday there was a dog attacked in Brixton and it's a reoccurring thing because no one is doing anything about it. "If it's a dangerous dog, it could be a poodle or a German Shepard, that dog needs to be taken away." Yes, Maggie Morrissey. We have sooo many cases of killer poodles running around ripping kids' faces off and killing pets. Stop trying to be so politically-correct. 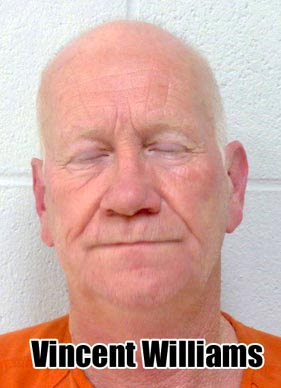 OKLAHOMA -- A 58-year-old Enid man arrested by Enid police last week was arraigned Thursday on four felony charges. Vincent Williams was charged this week with cruelty to animals, cultivation of a controlled substance-marijuana, possession of a controlled substance with intent to distribute, possession of a firearm during commission of a felony and possession of a firearm after former conviction. 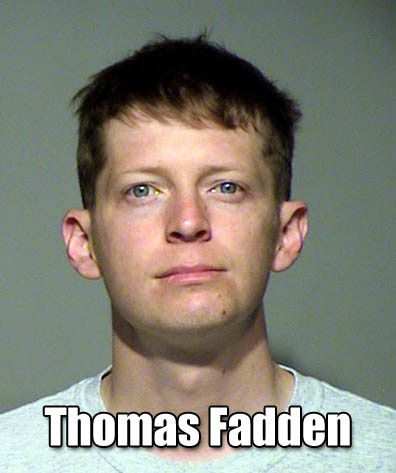 He was also charged with a misdemeanor count of possession of drug paraphernalia. According to the court filings, Williams had five felony drug-related convictions in August 1994. Williams appeared Thursday before Special District Judge Brian Lovell for arraignment on the charges. Lovell set bond for Williams at $10,000 and ordered him to return to court June 12 for a bond appearance. 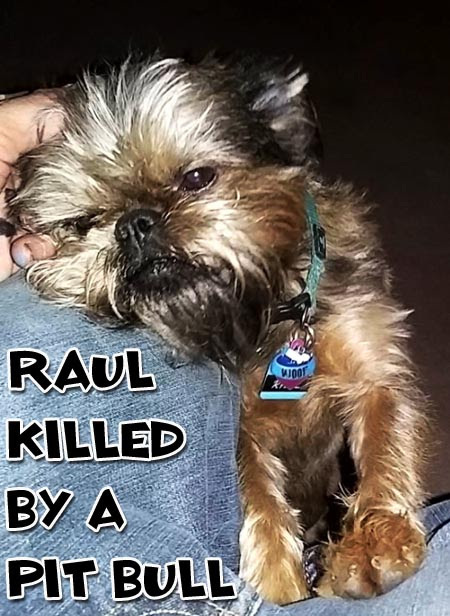 According to an affidavit filed in the case by Enid Police Department Officer Jacob McKinley, officers were sent April 19 to the 1800 block of East Garriott on a report of a dog being shot. Officer Jared Brush spoke with a man and his two daughters, who said another man who lives west of their house shot their pit bull, according to the affidavit. Brush said he was told the dog accidentally got out of the door when the girls came home. The girls said they went to search for the dog and heard a gunshot. 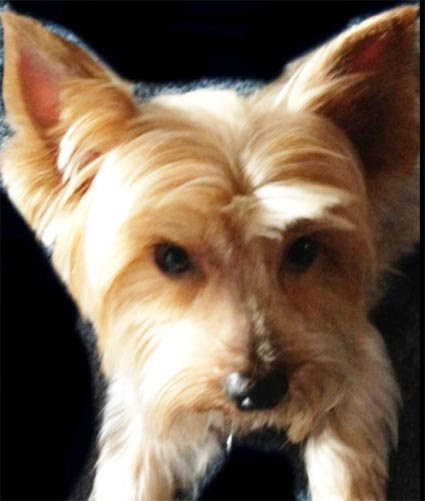 The dog was seen running from 1804 E. Garriott, Williams' residence, and died in the yard next to its home. McKinley and Officer Michele James spoke with Williams. "Vincent acted surprised to see us and when asked if (he) had to shoot a animal he stated that he would not do that since he is not even allowed to be around a gun," McKinley wrote. Williams told the officers he heard a gunshot but did not see who fired it. Police found a shotgun wad in front of Williams' house and again Williams denied having a gun or shooting the dog. A truck was parked in driveway of the residence and Von Schriltz noted in plain view were two boxes of ammunition in the back seat. Von Schriltz asked Williams about the ammunition found in the back seat of his truck and Williams said he'd forgotten his sister had given it to him earlier that day. Finally, Williams admitted it and said he had fired a shotgun and killed an animal that was in his front yard. Williams was read his rights and agreed to speak with officers. 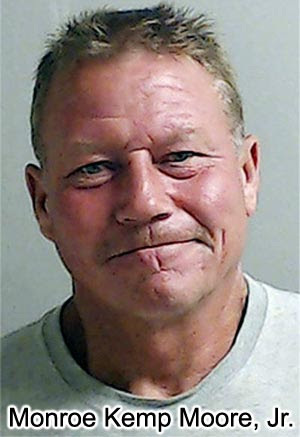 He told police his goats were attacked two weeks ago by a pit bull. "He stated that he saw the dog walk in his yard so he walked out of his house, stood on his front porch and shot the dog," according to the affidavit. "He said his shotgun was inside the house and also told police he was in possession of approximately a half pound of marijuana in his house," Von Schriltz said. James and Sgt. Casey Von Schriltz obtained a search warrant for Williams residence and outbuildings. Items recovered in the search included six firearms, three pellet guns, 1.1 pounds of marijuana, hundreds of rounds of ammunition, marijuana wax and oils, grow tents, marijuana plants, hundreds of small plastic bags, grow lights, seeds and a dug out, according to the affidavit. Williams faces one to five years in prison and a fine of up to $5,000 on the cruelty charge, two years to life in prison and a fine of up to $50,000 on the cultivation charge, two years to life in prison and a fine of up to $20,000 on the distribution charge, two to 10 years and one to 10 years in prison on the firearms charges. Please pray for my beagle, Barkley. He was attacked in OUR backyard after two pit Bulls broke the fence.